Computer-aided jewelry model design (CAD) and computer aided manufacturing (CAM) is the use of computer technology to aid in the model design and especially the drafting (technical drawing and engineering drawing) of a part or product. Current CAD/CAM software systems are capable to present 3D solid and surface forms. Modern CAD/CAM packages can also frequently allow rotations in three dimensions, allowing viewing of a designed object from any desired angle, even from the inside looking out. CAD/CAM is used in the model design of complex creations of jewellery as well as in simple patterns. 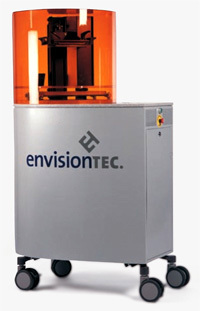 CAD/CAM has become an especially important technology within the scope of computer-aided technologies, with benefits such as lower product development costs and a greatly shortened development cycle. CAD/CAM enables artists to lay out and develop work on screen, print it out and save it for future editing, saving time on their drawings. Our engineers are crafting in CAD/CAM software such as the latest generation of Rhino and Matrix. Our systems reduce cost and time-to-market by translating CAD Designs into hard copy 3D models. These models are so accurate that jewellery designers can go beyond concept modeling to produce tooling grade patterns ready for casting or mold-making. Jointly CAD/CAM allows the crafting of jewelry using a computer (CAD) and creates an exact hard copy model of a jewelry piece using a computer controlled manufacturing device (CAM). Our technicians utilize all file types compatible with any CAM device, which allows us to quickly generate a precise wax model ready for casting. The term is often tied to the various applied arts and engineering. As a verb, "to design" refers to the process of originating and developing a plan for a product, structure, system, or component with intention. As a noun, "a design" is used for either the final (solution) plan (e.g. proposal, drawing, model, description) or the result of implementing that plan in the form of the final product of a design proces. This classification aside, in its broadest sense no other limitations exist and the final product can be anything from socks and jewellery to graphical user interfaces and charts. Even virtual concepts such as corporate identity and cultural traditions such as celebration of certain holidays are sometimes designed. More recently, processes (in general) have also been treated as products of design, giving new meaning to the term "process design". The person designing is called a designer, which is also a term used for people who work professionally in one of the various design areas, usually also specifying which area is being dealt with. The various levels of jewellery model making. With our fist-hand knowledge and experience throughout the jewellery model design with controlling the manufacturing process from start to finish, we deliver quality.